Tandridge District Council is working with Homes England, the Highways Agency and Surrey and West Sussex County Councils to draw up a detailed business case for submission to the government’s Housing Infrastructure Fund. 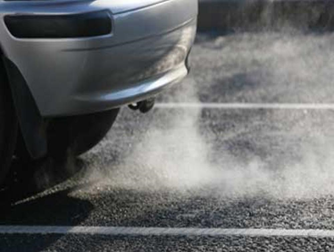 The funding relates to upgrade works for junction 6 of the M25 and the Felbridge junction on the A22. Council noted the findings of the planning inspector who recently reviewed Reigate & Banstead Borough Council’s (RBBC) plan. 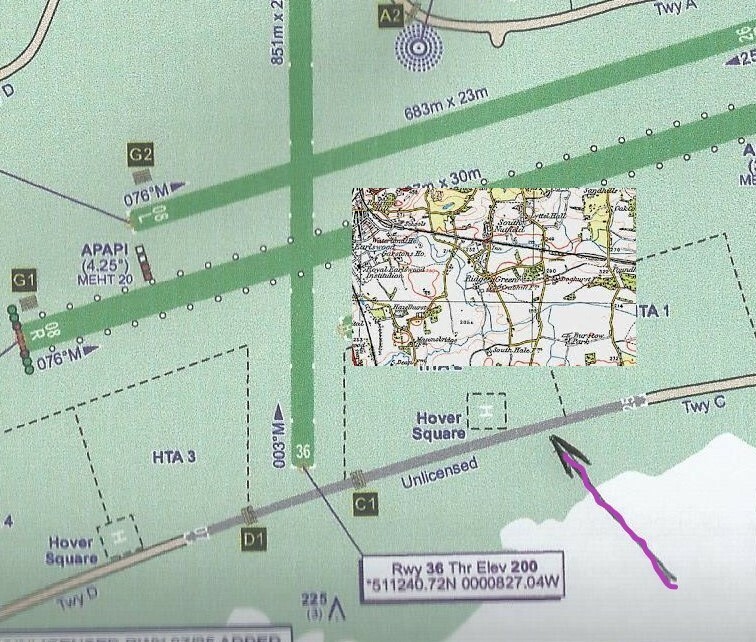 The inspector agreed with Tandridge District Council in finding the Redhill Aerodrome site to be undeliverable, because there is no commitment from Highways England to provide a new junction from the M23. 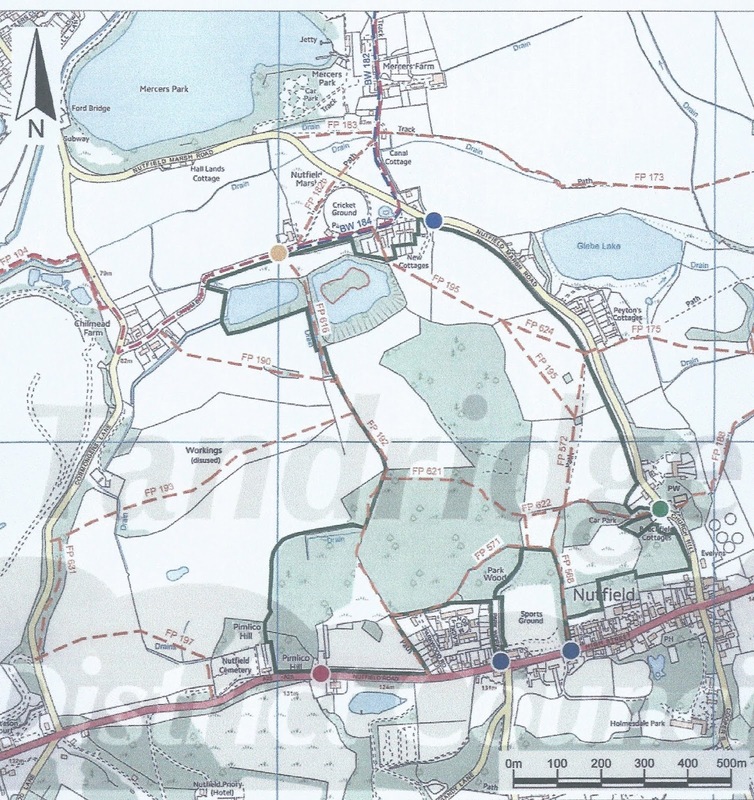 Consequently, the inspector went on to advise against RBBC’s plans to release from the Green Belt that part of the site which lies within its boundary and against safeguarding the land for future development. Chris Banks is the Programme Officer for the Tandridge District Council Local Plan Examination in Public. He is the main point of contact for all matters relating to the the hearing process from now onward. His role is independent and he reports to the Planning Inspector Mr Philip Lewis BA(Hons) MA MRTPI who has been appointed by the Secretary of State to to consider the soundness of the Local Plan Core Strategy. and to conduct the Examination in Public. This involves plans for an Activity Park development to be located on the old Laportes land to the north of the A25 at Nutfield. Plans will include an Activity Centre, a Nursing Home plus 105 Housing units. Development is stated to involve up to 60 HGVs per day (120 movements) with planned access onto the A25 where the red dot is showing - to the east of Nutfield Cemetery. Potential access for leisure use is shown as a green dot on Church Hill - at the car park opposite the Church of St Peter & St Paul. New cottages are planned alongside existing cottages east of the Inn on The Pond and Nutfield Cricket Ground per map below. 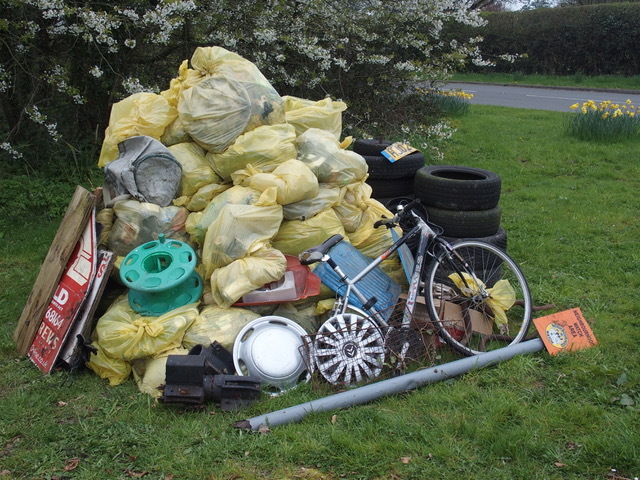 The 2019 Nutfield Litter Pick took place 5/6/7th April and involved an increased number of volunteers (50) combing the roads and lanes of the parish to remove unwanted litter/jetsom. The photo opposite shows the pile assembled awaiting collection by Tandridge Council. Grateful thanks goes to Tandridge Council (specifically Jim Lewthwaite) for providing the litter pick kit and hi-viz vests used for the event and for arranging collection of the pile of litter/rubbish from the designated site at the junction of Kings Cross Lane and Kings Mill Lane. Thanks also to Surrey Police (specifically PSCO Lorraine Wells) for supply of police road signs to warn oncoming traffic of the event and creating a safer working environment to collect the litter. NCS wish to thank Nutfield Parish Council for extending their insurance to include cover for all the volunteers involved in the event - this is very much appreciated. Finally, thanks go to all the volunteers who were able to devote a few hours of their time to support this worthwhile annual event. While the planning application does not constitute complete reinstatement to the state which existed prior to the works undertaken, NCS are pleased to note the intention to remove 4 metres width of hard standing and reinstate a grass surface to this area. The controversial notion of building homes on the Redhill Aerodrome site is to be deleted from the Reigate & Banstead blueprint for future housing. Following hearings last year, the planning inspector appointed to scrutinise the authority's Development Management Plan (DMP) has agreed the land should not be earmarked as a 'safeguarded site' for housing after 2027, as initially proposed by the council. 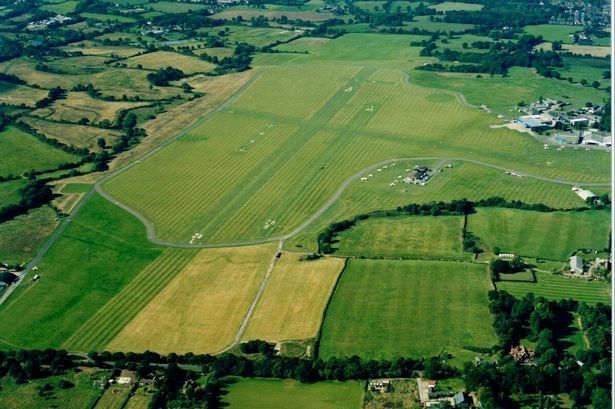 The inspector, Helen Hockenhull, concluded there was "insufficient evidence to demonstrate the exceptional circumstances required" for the aerodrome to be released from the green belt for this purpose. Notice is given in accordance with the above Regulations that, on Friday 18 January 2019, Tandridge District Council submitted the Council’s Local Plan 2033 to the Secretary of State for independent examination under Regulation 22 of the Town and County Planning (Local Development England) Regulations 2012, along with the supporting documents. The Local Plan 2033 presents: the spatial strategy, the policies and proposals to deliver homes (both market and affordable), employment and infrastructure for the plan period to 2033. The Plan puts in place greater protections for our landscape and natural and historic environment and sets out the requirements for open space and sports provision, flood mitigation and green and blue infrastructure. The housing delivery target for the plan is 6056, some of which will be met by a Garden Community development at South Godstone. The plan is underpinned by an ambitious economic strategy and is heavily infrastructure led and will seek to deliver new primary and secondary school provision, health facilities, road and rail improvements, open spaces and flood mitigation. The policies of the Local Plan 2033, cover the full administrative area of the District. Where can documents be viewed? The Submission Plan, Sustainability Appraisal (SA) Report, Regulation 22: Statement of Consultation and all supporting documents are available for public inspection at the front desk of the main Council offices: Tandridge District Council Offices, 8 Station Road East, Oxted, Surrey RH8 0BT between the opening hours of 08:30 and 17:00 Monday to Thursday and 8:30 to 16:30, on Fridays. or email: localplan@tandridge.gov.uk, should you have any questions.